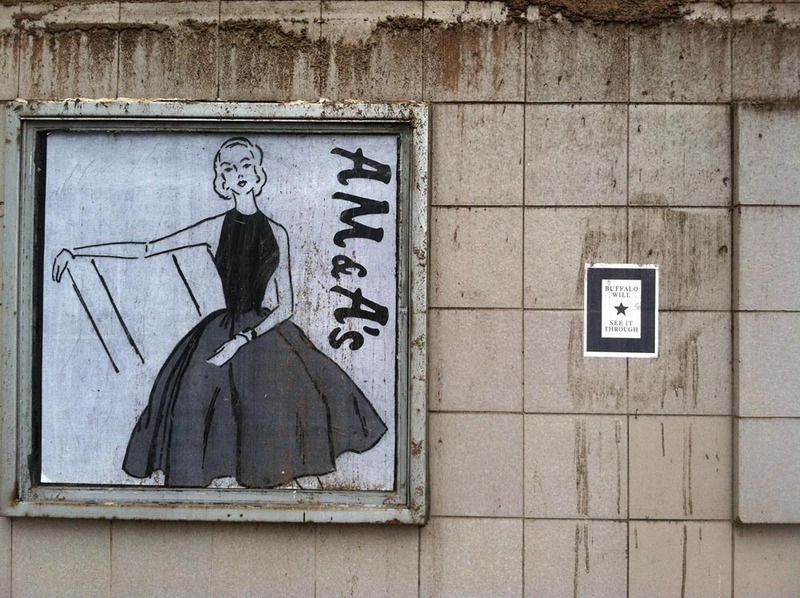 It was easy for passersby to mistake the seemingly decayed fashion ads as long, lost relics of an abandoned department store in downtown Buffalo. But it was revealed that these circa 1930s ads, which appeared last fall, were deliberately placed into the frames by a local artist. They might be the most charming, whimsical and unexpected street art that we’ve seen in a long time. Buffalo has seen an increase in street art in recent years, and it seems like the city, building owners and artists are embracing the change. This entry was posted in Beyond Levitt, Placemaking and tagged Buffalo, street art on January 8, 2014 by Melissa Smith.